It’s been a long time! I’ve been talking back and forth with Lauren and she told me about the new endeavor.. I am anxious to get over there and try the new cuizine! I just wanted to say congratulations and I wish this to be a success! I am certain it will be. And what a great location. I had no idea the got rid of the old Pharmacy (the Cheese Shop was a tragic loss though).. Anyhow, I wish you both the best. I hope to see ya’s around sometime. If you get the opportunity, please write back and let me know how everything is going! Take care and have a great day. Congrats again on the Grand Opening!! Congratulations Krauses’ — she is beautiful! We are excited to come by–Timothy’s birthday is this weekend– we will be coming by for a birthday celebration! AWESOME!!! I can’t wait for date night! I wonder if I can convince my neighbors to watch the kids, tonight. We are very excited to have this experience, and simply can’t wait. You really are addressing a huge need in our community. I’ve been extremely disappointed in the Latin food experience in KS, thus far (I’m hard to please, having lived in So. California, and other “Latin” influenced communities). There’s a cool taco stand in Wamego, but other than that, nothing. If the cuisine at Esquina is half as good as your hamburgers, I know that I’ll leaved happy. Congrats!! How exciting! We were just talking about this last night….Looking forward to trying it out soon! Congratulations & best of luck with your new venture! . . .and yes, she is beautiful! Awesome! Looking forward to trying the new place out. We’ve been eagerly anticipating it at work for weeks. 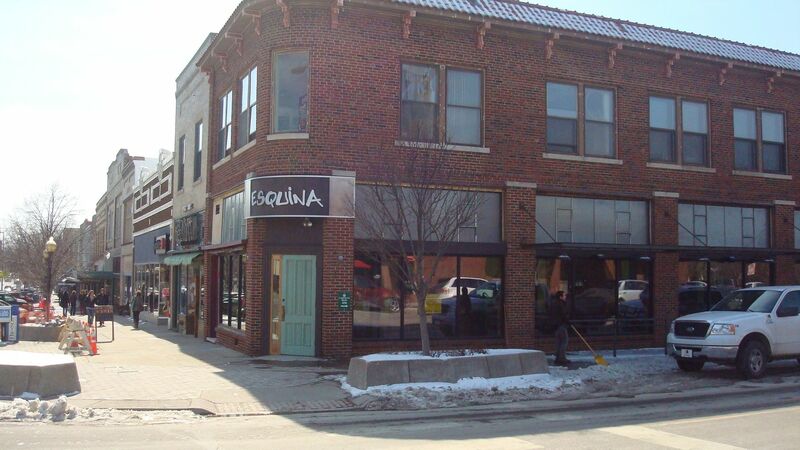 Will Esquina have a website or menu online anytime soon? Excited to try it out . We will have the website up very soon. Wonderful! Can’t wait to stop by! We’re so looking forward to bringing a group over next week on Thursday!! Can’t wait to taste the yummy food! Walked by yesterday and was excited to see that you were putting the finishing touches on Esquina. Congratulations! We are looking forward to trying yet another Krause creation. So is Esquina open to the public starting today? Or was this just a private event? The public is welcome starting this evening. When will you be open, reservations? 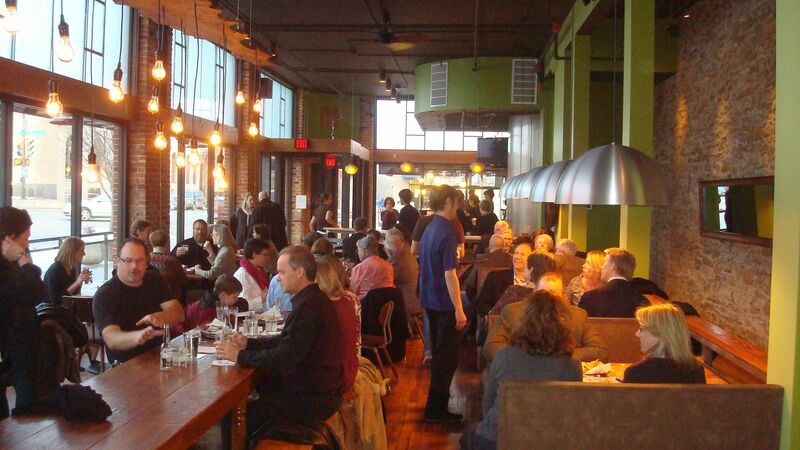 No reservations necessary – Esquina takes orders for food at a counter and staff will bring you your food and drinks. It is a casual and fun setting. Open tonight – no reservations necessary as Esquina is a casual, fun setting where food orders are taken at a counter and food and beverages are brought to you at your table. She is stunning!! Can’t wait to get back to Lawrence and give her a try! Congratulations!! The place looks great! What time do you open? We hope to be their ASAP! Yeah! I am looking forward to dining there! Just in time for my birthday!!! Hi Molly! I’m the food blogger who asked you tonight if I could take a picture of your menu. I’ve got my post ready to be published at Midnight and just wanted to let you know that it will appear here: http://jayhawkgirlskitchen.blogspot.com. Thanks so much for an incredible meal! We will be back with friends next time and will be looking forward to that awesome pork and pineapple taco and the yummy guacamole. We’re so glad to have you guys as neighbors! So sorry to have missed opening weekend – Will be back to Lawrence next week and plan to come in to take in all she has to offer. Congrats and much success!! !